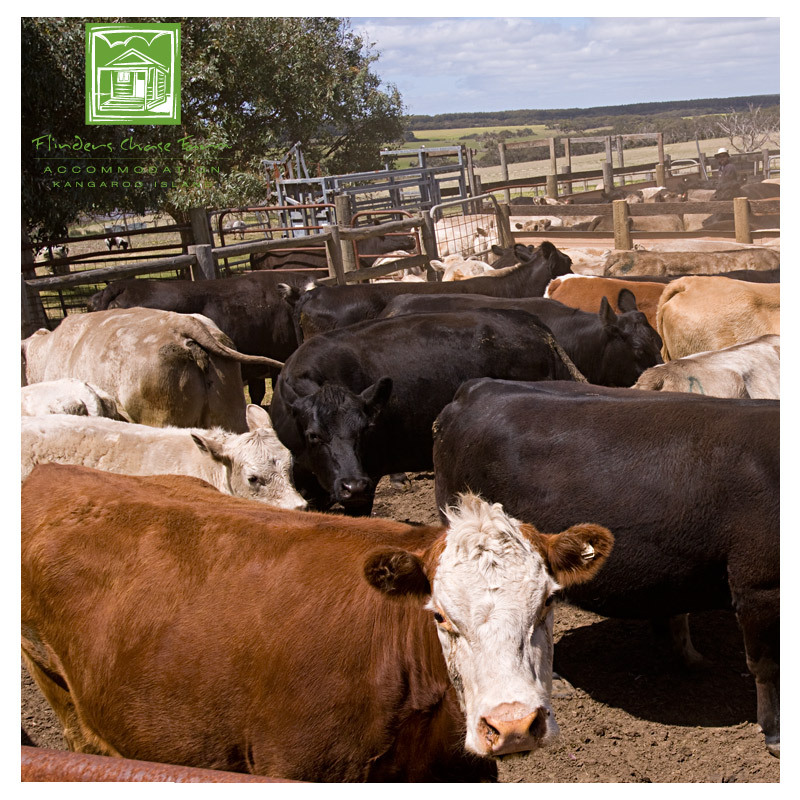 Our Farm on Kangaroo Island is set in a picturesque Australian bush setting, located at the remote west end of Kangaroo Island, central to the Island’s most popular attractions like Flinders Chase National Park, Remarkable Rocks & Admirals Arch. We are a typical Australian working farm running sheep and cattle, as well as cropping potatoes. We have a few pets for you to see as well, with some horses, Alpaca, as well as our assortment of local native birds and other Australian wildlife found in our gardens. At night just after it gets dark, it is an ideal time for a quiet walk around our farm, where if you look closely you may see a possum or two, kangaroo and wallaby as they are nocturnal and all live around the property. Bring your torch. When you come and stay with us you will enjoy a farm atmosphere, and at night if the sky is clear, you will see a magnificent display of the southern stars of the Milky Way. Our accommodation is well set out, and is surrounded by well maintained gardens featuring beautiful Australian native plants, creating a relaxed enjoyable ambience. Three styles of Kangaroo Island accommodation: Cabins, Hostel/Backpacker and Karatta En-suite Lodge featuring various different room configurations. We are ideally located on Kangaroo Island only 10km from one of the main attractions Flinders Chase National Park. Phone Coverage: Please note, mobile phones with Telstra Next G/3G /4G sims work well with a good coverage over Kangaroo Island.. Any other sim card or mobile phone provider does not work as well.